At Walden Place in Cortland, New York, you or your loved one will receive the care and service suited to your personal lifestyle so that you can live your life the way you always intended. 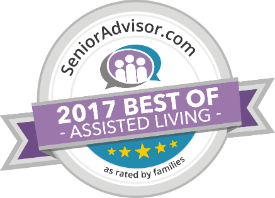 Offering Cortland Assisted Living and Memory Care lifestyle options, Walden Place allows you to embark on a gracious life that you may not have thought possible. The Walden Place community has a little something for everyone. Whether you like to get out and explore your local community, enjoy relaxing in the comfort of your home, or a little bit of both, we have virtually limitless options that will nurture your mind, body, and spirit. Our award-winning program Brain Health University (BHU) is always popular for those residents who like to stretch their minds and socialize with friends, as are the plethora of life enrichment programs available. Walden Place is in the heart of Cortland, the home of the New York Jets training camp. We are also very close to theaters, Cortland State University, the Fingerlakes Wine Trail, and several quality hospitals. Our experienced, caring Senior Living staff will take you wherever your heart desires. Our Cortland Memory Care and Assisted Living residents and residents’ families receive valuable peace of mind knowing that a certified nurse is on staff 24 hours a day. We provide dog walking and grooming, laundry services, a beauty salon and barbershop, housekeeping services, and transportation. While some communities insist on new residents plopping down huge, non-refundable payments up-front, we like to do things a little differently. We care about not only the physical and emotional well being of our residents, but their financial health as well. That’s why we offer our residents all the perks of country club living without the expensive buy-in—just a simple lease. Our community offers 60 Enriched Housing apartments and 20 Memory Care apartments with different floor plan options and a number of amenities described below. Explore nearby cities like Ithaca. David Canfield comes to Walden Place in his new role as Executive Director with extensive experience managing programs and a background working with at-risk youth. He holds a degree from SUNY Oswego and has done Master’s work at Syracuse University. David states that the most exciting part of this new position is the opportunity to interact with residents and staff while making positive changes in the community. His goal is to show prospective residents that he and his dedicated staff will work to make every new resident feel comfortable at Walden Place, tailoring the experience to individual needs and preferences. David is proud to share that Walden Place is a veteran-friendly community, stating “We honor our veterans and respect the service they gave our country.” He feels that the community has a lot to offer for residents with varied interests, citing Walden Place’s award-winning Brain Health University, a program designed for residents who wish to stretch their minds while socializing with friends. When not at Walden Place, David enjoys farming as a hobby. He is excited to welcome guests to Walden Place and share the caring, welcoming atmosphere of this lovely community! 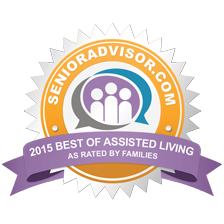 The most sought after honor at Senior Lifestyle is the annual Heart of Caring Award. The Heart of Caring Award is reserved for an outstanding individual who best brings the Senior Lifestyle Mission, Core Values and Service Culture to life daily within their communities. We are proud and honored to recognize the Heart of Caring Winner from Walden Place and deeply thank all of these special individuals for making a difference in the lives of our residents, bringing peace of mind to the families, and serving as role models for their peers. “My 92-year-old father recently moved into Walden Place in Cortland, NY. I cannot say enough about how pleased and relieved I am to have him surrounded by such caring and competent staff, as well as friendly residents. Walden Place is set in a rural area yet is very close to shopping. The physical environment is bright, fresh, and well-appointed, activities and outings are plentiful, and the three daily meals are wholesome and delicious. What impresses me the most, though, is the number and quality of staff, both clinical and non-clinical, who continually engage with all residents – stopping by to remind them of activities, rounding twice during the night, keeping track of medical appointments, medications, and needed lab work, and providing transportation to appointments. This inclusive approach is a very different model than the retirement complex from which my dad moved in Florida. Not only am I happy that my father now lives close by, I can rest assured that he is in good hands. I can’t thank Walden Place enough! 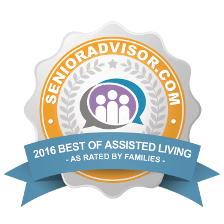 Linda McLean, Ithaca, NY” – Linda M.
“The Walden Place assisted living facility located in Cortland NY. My family was very fortunate to be able to move my father into this community. With the slow decline of my mother we had time to research options that we thought would be viable in resolving our dilemma of how best to provide care for my father. We chose Walden Place over what we considered were lesser alternatives. Initially what struck me was how non-institutional and physically pleasant the facility was. The common areas are comfortable and inviting. The individual rooms or suites are clean and modern. Second was how positive and friendly the staff was. We felt very welcomed by everyone connected to Walden Place from the administrators to the maintenance staff, the care givers to the dining personnel. This has continued to be the case. Everyone is very attentive and helpful. I believe that the employees take pride in their community. I enjoy the idea of having my parent reside in a safe and positive environment. He has options for activities should he choose to participate. Medical assistance is close by and there are people to engage with. I would recommend Walden Place for your consideration. Michael L. Mallah” – Michael M.